There exists a subtle boundary between ambient music and beat-driven electronica. Dub-techno for example, is an obvious style and by that, I mean it often exists within a particular realm, with particular patterns, instruments and recognizable synths - it's hard to perfect but all too often, easy to replicate. And it's not often you find artists that leave you wondering where a piece fits all-together within that spectrum. Not everything has to be tagged or labelled, or even 'fit', but by the very nature of you struggling to place it, makes it all that more interesting and intriguing. One artist that continues to blur the boundaries of ambient music, is Purl. Ludvig's releases on Dewtone and Silent Season, have helped establish this expansive, bubbly, organic style which he is now synonymous for, and his latest album alongside Sinius, on Eternell, is another stamp on his lush, silky take on beat-driven ambient music. 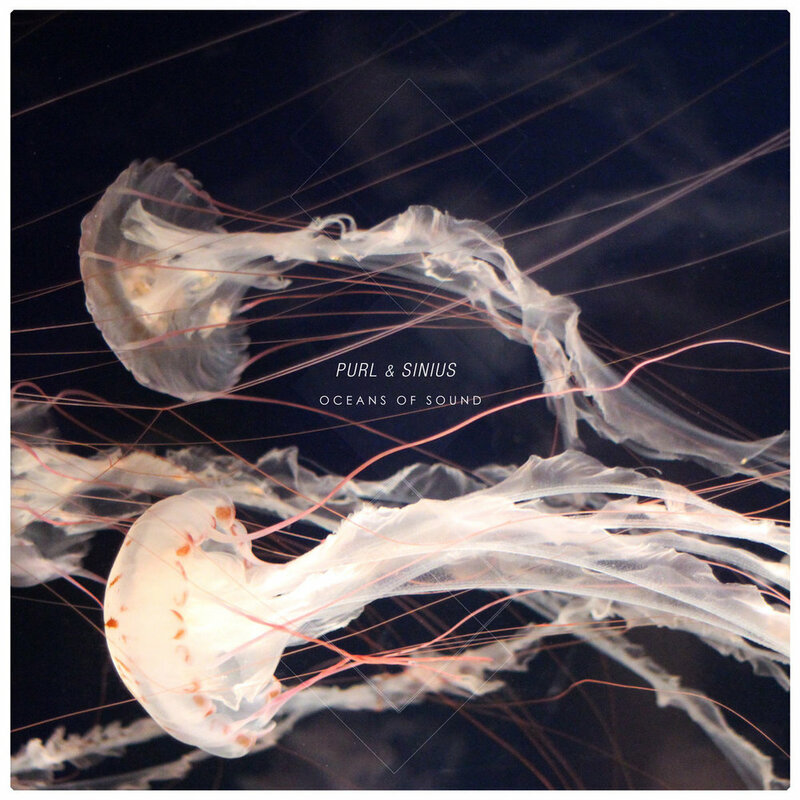 With each track averaging around ten-minutes, Purl & Sinius' music is allowed the time and patience to grow and emerge. Be it a tiny cocoon, or a time-lapse of an entire habitat's emergence, each piece holds a sentiment that stays true throughout, yet develops unto itself as if it were an ever-expanding organism. It's this deep attention to detail that enriches each listen, and the swathes of glistening ambience that continue to carry you through like a bird soaring high in a jet-stream, looking down amongst the minute detail of the earths canopy. Crossing dense jungles, hitting blankets of fog, emerging in-front of majestic plains, this music moves you from all angels, and demands more attention. It's an interesting partnership on paper, but one that makes complete sense once you're soaring with the transcending pads that no doubt come from Bass 'Flo's (Sinius) previous production experience (and who's Discogs page notes an upcoming album with Ulrich Schnauss no-less). Combined with Purl's organic and nurtured detail, it's a must listen to anyone that cares for ambient music. With so much detail amongst the ten pieces, mentioning individual tracks is like reviewing an entire album in itself. Oceans Of Sound, is best left up to you and the majestic night sky; or like the album art suggests, the beautiful dance of mother nature.